Chevrolet Cruze set for July 2009 Malaysian launch! 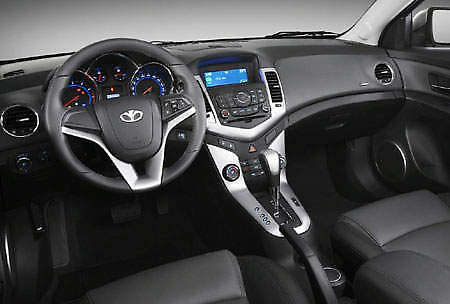 Home » Cars » Chevrolet » Chevrolet Cruze set for July 2009 Malaysian launch! 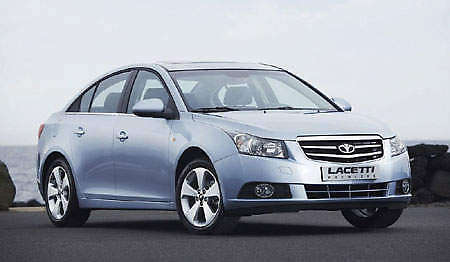 The Chevrolet Cruze will hit Malaysian roads in July 2009 and it will be imported from Korea as a CBU model. The Cruze is a C-segment sedan in the same class as the Civic, Corolla Altis and Focus. Under the hood will be a GM-Opel Powertrain sourced 1.8 litre DOHC unit while in other markets the Cruze is also available with a 1.6 litre ECOTEC. This new 1.8 litre unit replaces the older Holden-based engine that our market’s Optra comes with. The new engine will have DCVCP or Double Continuous Variable Cam Phasing and produce 140hp and 175Nm of torque at 3,800, so that’s quite a torquey mid-range there. What’s most impressive is the Cruze will be a class leader in terms of transmission as it will be equipped with a 6-speed transmission, something that none of its rivals have. The closest is Honda with a 5-speed auto. The Cruze is generally a rather good looking car and it has a pleasant interior as well. It has been touted over and over that this car together with the upcoming Chevrolet Volt will be the new global car that saves GM. Unlike previous GM C-segment offerings where the Americans got the Cobalt while the rest of the world got the Daewoo-derived Optra, the Cruze is one single model that will serve the global market. Another new Chevy will come later – the D-segment Chevrolet Epica. Look after the jump to view a full featured high resolution interior & exterior photo gallery of the Cruze and its Daewoo-based version, the Lacetti Premiere. Previous Post: B&B tuned Volkswagen Eos has 650Nm of torque!